Get competitive quotes on advertising in Eugene! 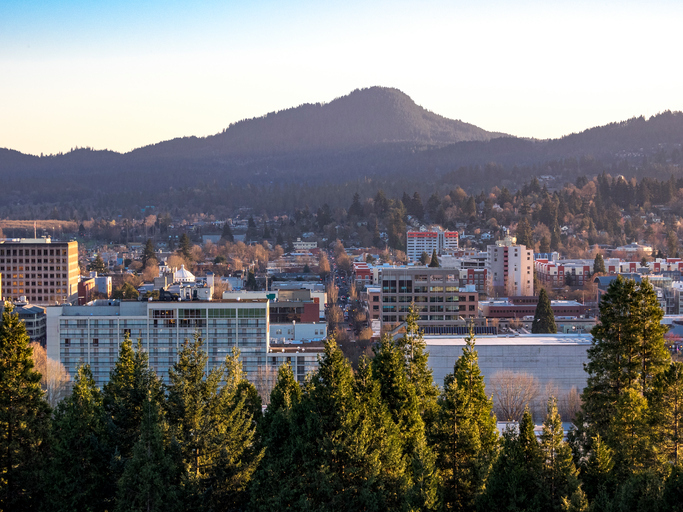 Eugene, famous for its stunning natural landscapes, is a great location for outdoor advertising. The home of the University of Oregon boasts the Alton Baker Park and Hendricks park. In addition, the city’s impressive Autzen Stadium draws in thousands for Oregon Ducks football games ensuring that your campaign will be seen. Consider a billboard near W 7th Avenue by the Hult Center for Performing Arts, or along I-5 and US 126. Whether you’re looking for transit, bus or billboard advertising, BillboardsIn can help you grow your business. Select an ad format below. You can also check out BillboardsIn’s extensive database of outdoor advertising options.